Often with a pithy reply, I acknowledge that it is a solid, rewarding personal experience, that there is a lot of work to do, that the people are nice, and blah, blah, blah. Those are fair replies, to be sure, but none, individually or collectively, is wholly representative of my experience in India over this last month. How could they be? After all, I am in In-freaking-dia, a country of nearly 1.2 billion people, a destination of spiritual enlightenment for Indians and non-Indians alike, a geographic marvel, an undeniable reflection of history and struggle, an unfortunate home to off-the-chart poverty, and oh, by the way, a hugely competitive force in today’s world of commerce. Maybe I am taking the responsibility to answer the question too personally and too seriously. It is not mine to tackle. But my current environment and its effect on me have prompted me to consider it with a modicum of dedication. I lifted those words from Shantaram (“A Man of God’s Peace”), written by Gregory David Roberts, allowing them to be my personal mantra and reminder of patience while here. They have served me well. My first thought is that India is packed with people. While it is the seventh biggest country in terms of surface area, India is the second largest in terms of inhabitants. It is expected to overtake China as the single most populous country in 2030. Its overpopulation is apparent. In my everyday routine in Bangalore, for example, riding in traffic on the short way to work is a unique lesson in High Population Density 101. People—many of whom are pavement dwellers—meander in the roads, vying for space with smallish cars, smaller black and yellow auto rickshaws and noisy motorbikes. They all seem to get along swimmingly, but not without help from their horns. 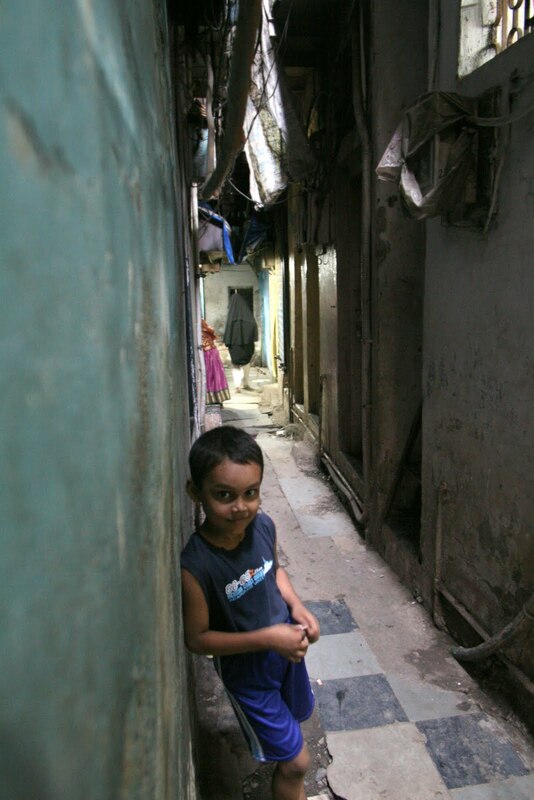 In a more extreme case of India’s crowdedness, on a weekend trip to Mumbai, a colleague and I toured Dharavi, Asia’s biggest slum, where it is estimated that more than one million people live in an area of 1.75 square kilometers (.68 square miles). The sheer closeness of quarters was barely believable. There, I saw people literally living on top of one another—yet they still manage to coexist in relative harmony, and have for more than a century—under the most squalid of circumstances and ethnically diverse atmospheres. That leads me to my next thought: the surprise of religious variety in India. Most people reading this know that Hinduism is the majority religion of India. Hell, even I knew that. 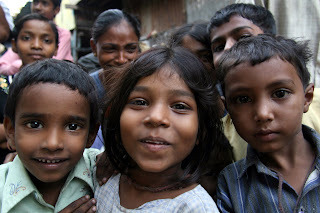 Hindus make up approximately 80% of the country’s population. As a Christian myself, I learned early in life about Saint Francis and Mother Teresa. I figured simply on the basis of those two having been here that more Christians would be here. Just over 2% of Indians are Christian. What I never realized, though, is that almost 14% of Indians are Muslims. India is home to the world’s third-largest Muslim population. What with all the burkas—at times—I feel like I am in the Middle East! Sikhism, the religion of men who wear turbans, rounds out any major religious representation at roughly 2%. For an interesting—but saddening—story of the Sikhs, see Operation Blue Star and the subsequent assassination of Indira Gandhi. My final thought brings me to the subject of Indian cuisine. As I will be gone by the time monsoon season officially arrives next month, I consider myself fortunate to have been here during another season: that of the Alphonso (mango)! The Alphosno is a delicious fruit, bursting with sweetness. I prefer one with two scoops of vanilla ice cream, but they can stand up delightfully well on their own. Visiting Crawford Market, also in Mumbai, I took a spin through the mango aisles. To view that, plus additional footage of the city’s horn-filled and traffic-jammed streets, press play on the below video. Other foods get my attention, but nothing is tantamount in taste to the Alphonso. Supposedly, there are distinct differences between South and North Indian food—and even regionally—but I have trouble discerning them. Most plates have rice and a type of bread, usually fried, accompanied by dipping and smothering sauces, usually spicy. One other point of note on the food is that I have not mastered the Indian way of eating with my right hand and not using a napkin! This is one of those things that I cannot explain. Forever and always a Westerner, utensils and napkins are for me. There are numerous aspects of India that I would love to cover but did not… and probably could not. Left for another trip perhaps, I would like to delve more deeply into the spiritual significance of India, especially as it relates to meditation and yoga. Learn Hindi? Sure, maybe one day. Uncover the intricacies of India’s famed chai tea, which I have been drinking regularly? Another cup, Chaiwalla! Dhanyawad, India—as of today, I am thankful to have spent a month with you. I can't wait to try an Alphonso mango! So glad you've had such a great experience, too! Well,u dug deep into India I must say, Chad. And u've also read Shantaram. Its a nice book. Wonder if that inspired u to go to Mumbai. The Alphonso is a nice variety. But if u do get a chance, try the other vrieties as well,Dusheri for instance. If u found ol' Al' good, Dusheri is goin' to be heaven. U can find it in Delhi. The Chaiwalla sure became a favourite I can see !! Nice havin' you around ! !